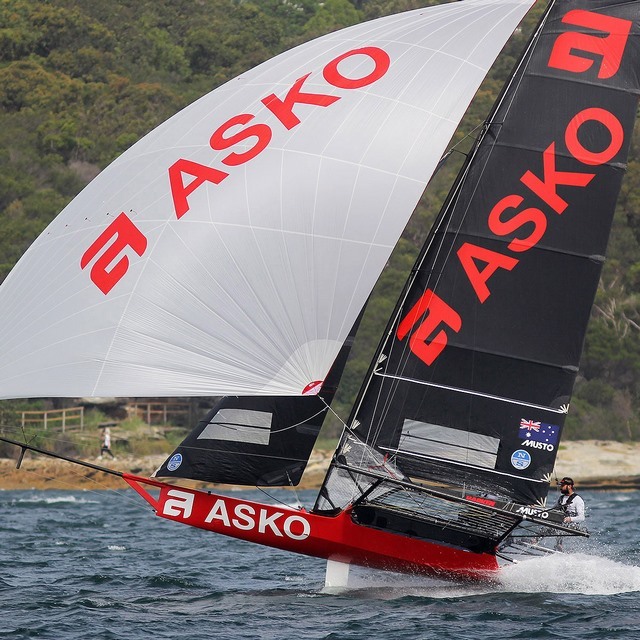 The Asko Appliances 18ft Skiff team became the 2018-2019 NSW champions after scoring a win and a second placing in the final two races of the championship which were sailed in a 15K SSE wind on Sydney Harbour today. Skipper James Dorron and his crew of Harry Bethwaite and Steve Thomas proved too consistent on the day for their main challengers for the title and Asko Appliances deserved the win as the team was the only two race winner of the five race championship. Asko Appliances finished the championship with a total of 9 points. Finport Finance (Keagan York, Matt Stenta, Charlie Gundy) was runner-up on 13 points, followed by Smeg (Michael coxon, Ricky Bridge, Mike McKensey) on 14 points. John Winning's Yandoo was fourth on 20 points, followed by Bing Lee (Micah Lane) on 27 and Vintec (Kirk Mitchell) on 30 points. The second lap of the course saw a change come over the leading group when Asko's team elected to go to the LHS side of the course on the spinnaker run and the move was a winner. It was this leg which brought the Asko Appliances back into contention and enabled the skiff to go on and win the race from Finport Finance and Smeg. At the finish, Asko Appliances defeated Finport Finance by 9s, with Smeg another 8s back in third place. 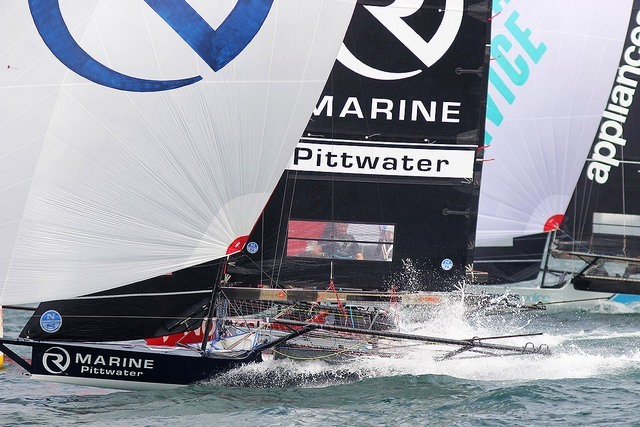 R Marine Pittwater (Rob Greenhalgh) finished fourth, ahead of Triple M and Noakes Sailing. 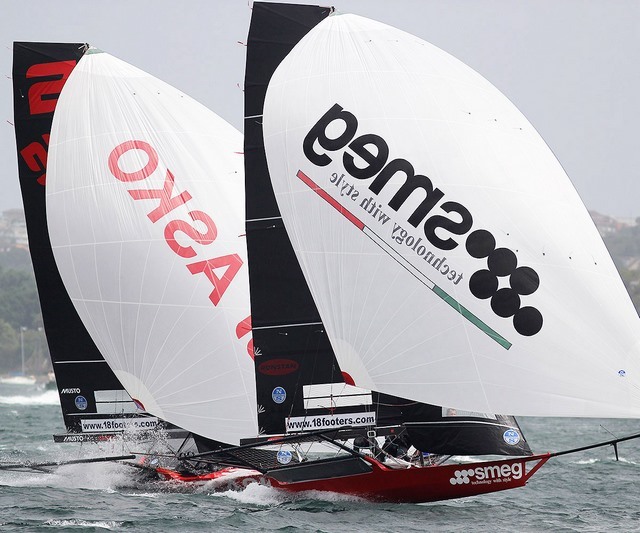 Going into the final race, Smeg and Asko Appliances were equal on 7 points (net). Finport Finance, on 12 points (net) was the only other team with a realistic chance of winning the title, but it would be a slim chance. 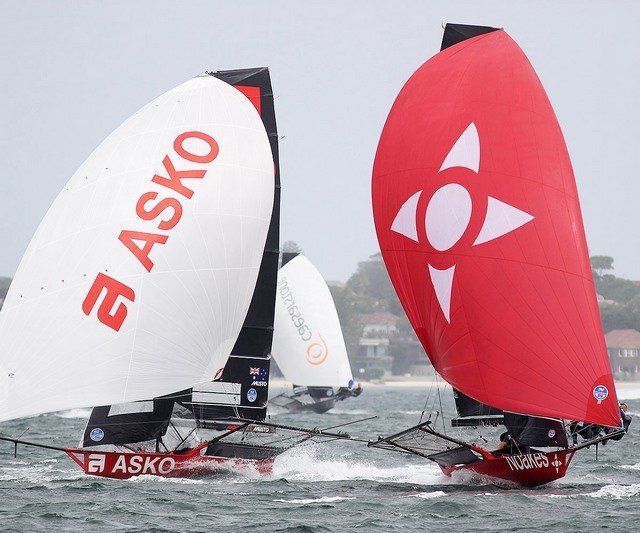 The expected match race between Smeg and Asko Appliances never eventuated as Smeg lost all hope with a disastrous start while Asko was up close to the lead. 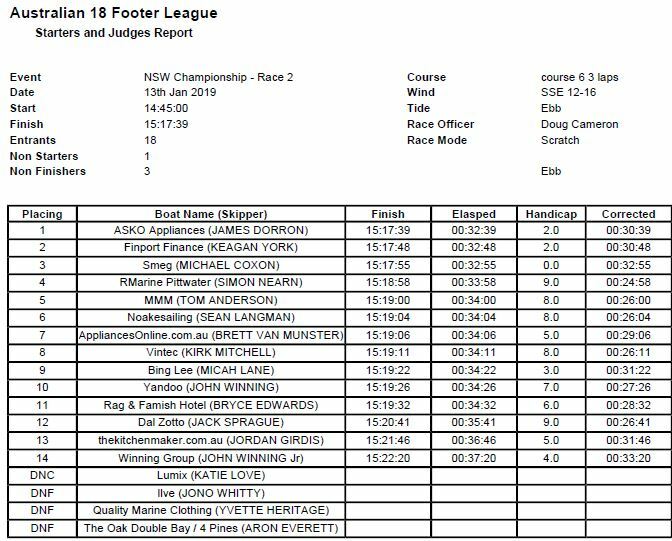 Finport Finance's crew quickly had their skiff in the lead and, with some great boat handling skills in the southerly wind, were able to retain the lead over the entire three laps of the windward-return course. 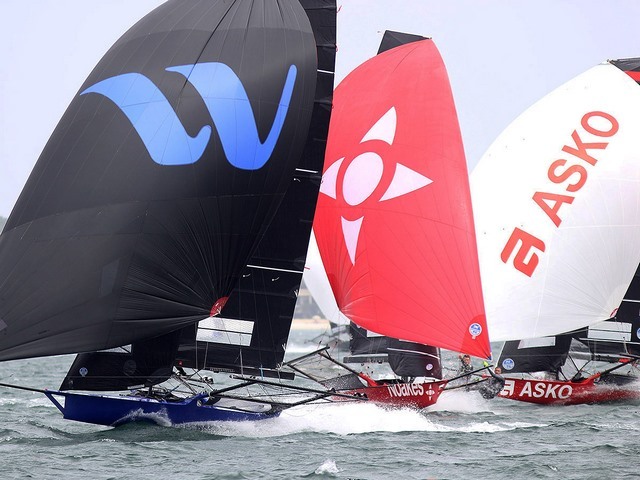 Asko Appliances was in second place behind Finport, and with Smeg well back, her crew seemed intent to safety rather than risk losing the big 'championship win' prize. The action in both races was spectacular and non-stop. While the top three teams dominated much of the racing there were some very good efforts throughout the fleet. Finport Finance's winning margin over Asko Appliances in Race 5 was 45s, with third placed Vintec a further 1m10s back. 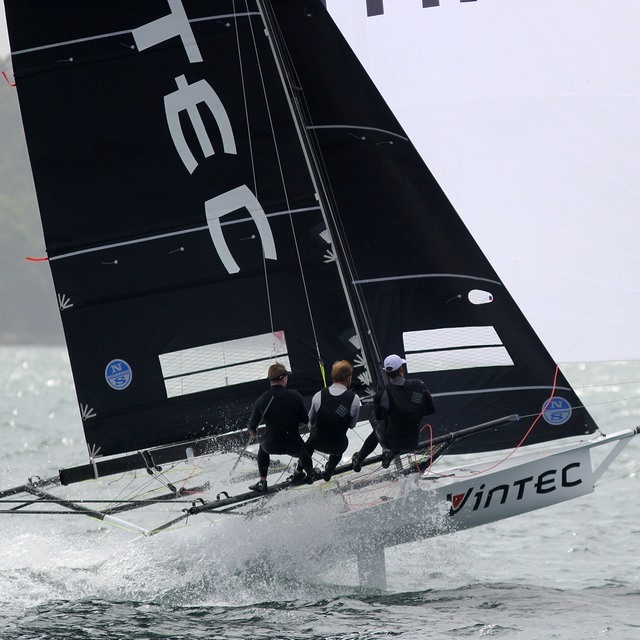 Appliancesonline.com.au (Brett Van Munster finished fourth, ahead of Yandoo and Noakes Sailing. 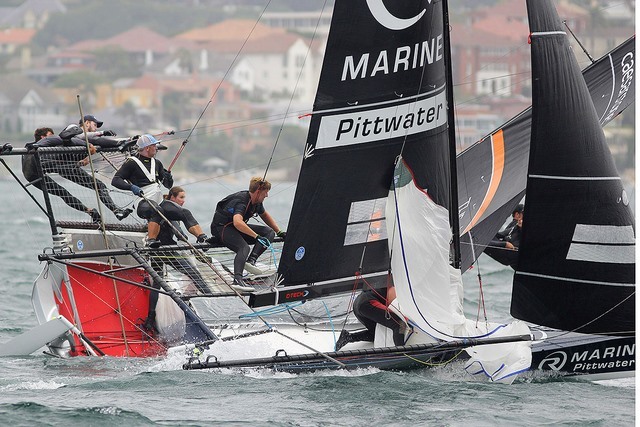 The Australian 18ft Skiff Championship begins next Sunday (January 20 when two races will be sailed on Sydney Harbour. The championship will be sailed over nine races and will conclude on Sunday, February 17.